The MotoGP paddock is now in full speed for the start of the 2018 season, and before the first race in Qatar, riders and teams still have one last opportunity to try new solutions to fight for victories. 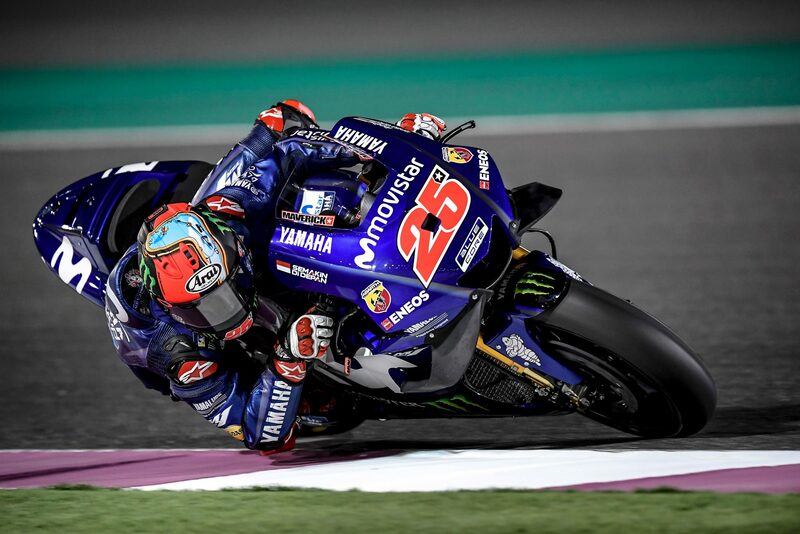 The last three days of pre-season testing started yesterday in Qatar, and the Losail circuit saw an impressive performance by Maverick Viñales. It hasn’t been a good start of season for Viñales and his Movistar Yamaha team. During the first two tests of 2018, in Sepang and Buriram, neither the Spanish rider or the Yamaha factory team made good impressions on the timetables, so during the last pre-season test, in Losail, Viñales is showing he can do better than its rivals. Onboard his Yamaha M1, Viñales wasn’t on top of the times up until the last two hours of this first day on track and reached number one spot courtesy of a lap time of 1m55.053s. The Yamaha rider did a total of 64 laps. Coming up in second, just 0.051s off of Viñales pace, was Andrea Dovizioso. The Italian, onboard the new Ducati Desmosedici GP18 continues to show good rhythm and was able to secure second position even though Andrea Iannone (Ecstar Suzuki), also showed he means business this year, and started the last test with the third best time of the day in Losail circuit, just 0.003s behind Dovizioso. Also impressive on his Desmosedici GP18 was Danilo Petrucci. 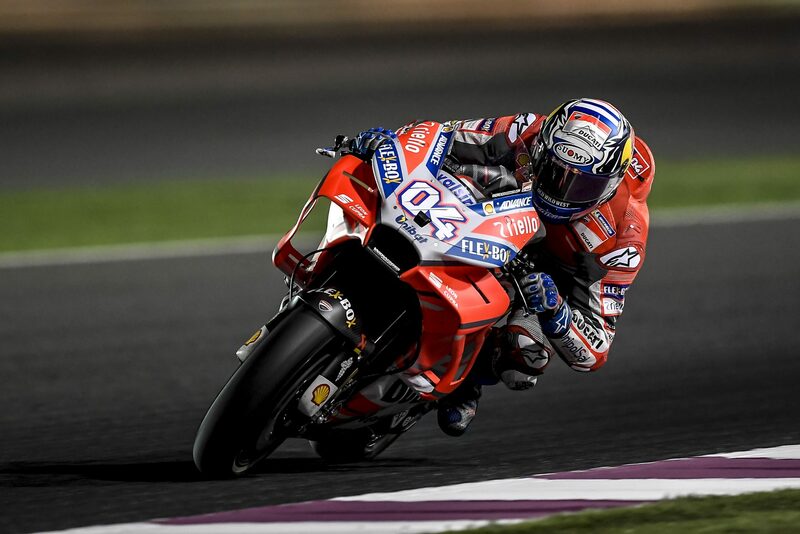 The Pramac Ducati rider, even if he was only the 8th fastest on track, managed to impress everyone by reaching the fastest speed of the day in Losail: 346,2 km/h! 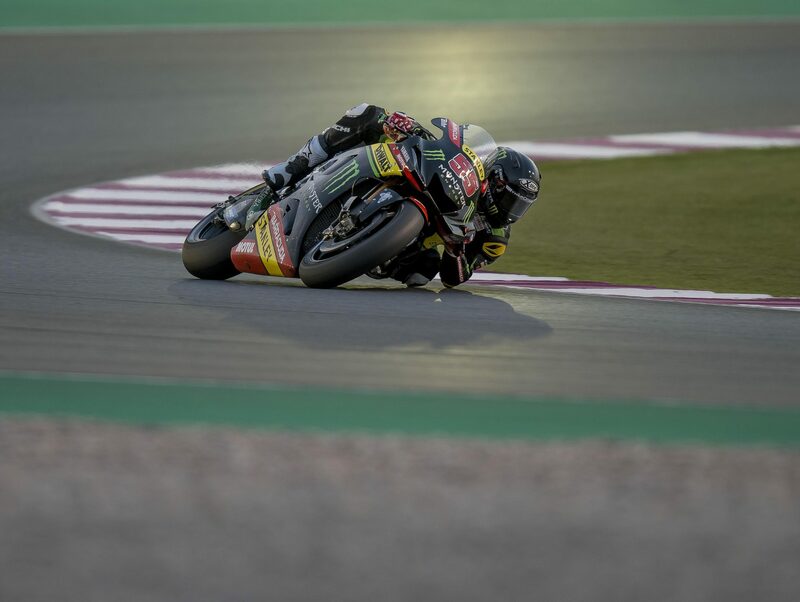 Hafizh Syahrin, confirmed to race full time for the Monster Tech3 Yamaha team this season in MotoGP, was also on track to try again the Yamaha M1 prototype. After testing in Buriram, where Syahrin showed potential to improve at every session on track, in Losail the Malaysian rider continues to adapt to his new ride and managed to be the 22nd fastest rider on track, just under 1,7 seconds off the pace of Maverick Viñales. Hafizh Syahrin completed almost 60 laps, and this is what he had to say about the first day: “During this first day in Qatar I felt very good. We had a lot of confidence from the beginning. Later tonight, I experienced some minor issues, but after just some minutes, my great feeling was back. We tried to understand the new aerodynamics and by the end, I was able to give the guys some good feedback. I feel like I can improve even more, but we are trying everything step by step in order to avoid any obstacles, because if you’re going too quick too fast you can easily be confused. Today, I was smooth and calm, and I’m happy, that I can say, I already understand the bike now. For the second day, we’ll experiment further to make more progress”.